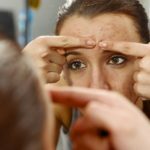 You may already know by now that the fantastic injectable known as Juvederm has worked wonders in helping people to maintain natural, youthful looks. But there is another great wonder that Juvederm can help you to experience. The concept of luscious lips has long been associated with youth and beauty. And Juvederm Volbella is the new treatment when it comes to lip augmentation. Firstly, it should be noted that, in many cases, people have taken to plastic surgery to enhance their lips. It probably doesn’t even need to be stated that such invasive surgeries are not only potentially dangerous but unable to produce natural results. In some cases, patients have come out with “freakish” appearances. Many a Hollywood star has been made well aware of this. Juvederm Volbella is no type of plastic surgery. Instead, it is an injectable filler that uses naturally occurring hyaluronic acid to contour lips. It also boosts volume, helps to achieve symmetry and smoothes vertical creases that are often caused by smoking. The injections also work to accentuate your “vermillion border” or the outside of your lips as well as enhance the cupid’s bow. The injection also includes lidocaine, which is an anaesthetic. This helps for the treatment to be a comfortable one. 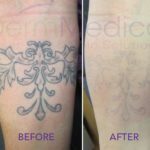 Patients experience less bruising, pain and swelling with Juvéderm Volbella injections. And what makes them even more desirable than plastic surgery is that the recovery process is quite fast. If you’re looking for luscious lips, Juvederm Volbella may just be for you! Dr. Patterson also mentions that Juvederm Volbella possesses a “nice firmness” that promotes lift and volume following an injection. Another great aspect of the product is that it does not attract water once it is injected. This helps for the avoidance of swelling. This is new for lip fillers, says Dr. Patterson. Evidently, this adds another highlight on the list of benefits provided by Juvederm Volbella. 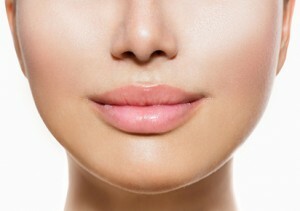 In fact, a European study found that nearly 100 per cent of subjects assessed following their lip augmentations with Juvederm Volbella reported that they achieved their desired results of lip fullness. And one of the top benefits discovered in this study was that the results were impressively long lasting. In fact, more than 80 per cent of the subjects studied were satisfied with their results a full year after receiving the injections. Juvederm Volbella injections are slowly becoming known as ideal alternatives to invasive plastic surgeries. With natural results that are long lasting, it’s only a matter of time before they become globally popular. For more information on how to naturally restore the volume and shape of your lips, simply contact DermMedica toll free at 1-866-861-3070, or if you are in Kelowna, call 250-868-3070.